Our range of products include fep/pfa lined ball valve, pfa lined valve, fep lined valves, teflon lined pipe valves and teflon lined pipe fitting. We have gained eminence in the industry as manufacturers of PTFE/FEP/PFA Lined Ball Valves. 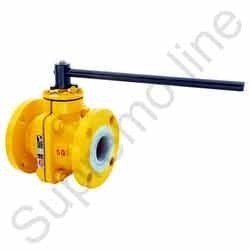 The offered valves are designed with utmost precision using optimum quality PTFE and sophisticated technology and are made available in several specifications. Ideal to be used in fluid handling systems, these valves are highly non-corrosive. 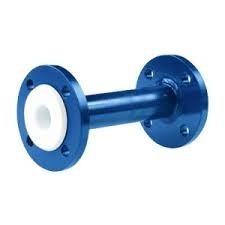 These valves are highly efficient at regulating high temperature, pressure and volume flows. We have gained eminence in the industry as manufacturers of PTFE Lined Ball Valves. The offered valves are designed with utmost precision using optimum quality PTFE and sophisticated technology and are made available in several specifications. Ideal to be used in fluid handling systems, these valves are highly non-corrosive. These valves are highly efficient at regulating high temperature, pressure and volume flows. 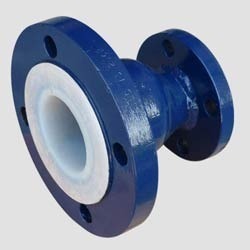 We have gained eminence in the industry as manufacturers of PTFE/FEP/PFA Lined Pipe & Fitting. The offered valves are designed with utmost precision using optimum quality PTFE and sophisticated technology and are made available in several specifications. Ideal to be used in fluid handling systems, these valves are highly non-corrosive. 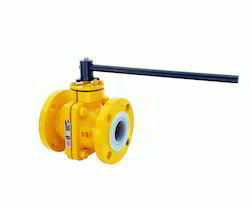 These valves are highly efficient at regulating high temperature, pressure and volume flows.